For garden lovers, what about giving them an experience day they'll remember & enjoy? Garden experiences could include garden tours in a group or simple visits where the lucky recipient can just enjoy strolling through beautiful gardens taking in the sights. So here are some garden gift experiences. When you click through to go to the retailer, please check locations, prices, T&Cs & voucher expiry dates and info specific to the experience before you buy. Check out TravelZoo - they've got great deals on entry to gardens (and often the homes or country estates as well). You'll find the deals for gardens under their Entertainment and Activities section and you can get some incredible offers. As I type, Hatfield House in Hertfordshire is one of the most popular deals but who knows it will be around for? Dig to unearth great garden entry deals here and keep digging deeper down the page. Members receive The Garden Magazine every month and they can get advice from a team of horticultural experts either face-to-face or via post, phone or email, and enjoy quieter days at events. 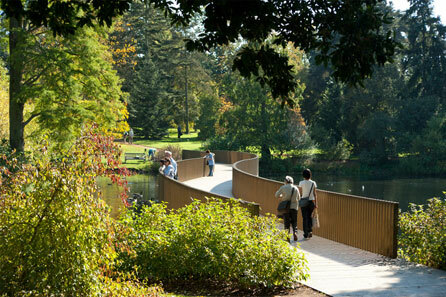 There's unlimited access to the 4 RHS Gardens; Wisley, Rosemoor, Hyde Hall and Harlow Carr, where you can bring a family guest for free. Members can also explore more than 195 delightful RHS Partner Gardens across the UK and overseas for free during selected periods. There are different types of membership, and all memberships help the RHS continue its work caring for their gardens, inspiring gardeners and running community campaigns and projects. Give a Gift Membership here. This is a perfect experience for anyone who loves history and nature, with a stroll around the stunning Kew Gardens and one of three afternoon teas for two on the on-site Botanical Restaurant - choose from traditional, vegetarian or gardener's afternoon tea! Available from Virgin Experience Days. Take a guided tour of wonderful Kitchen Garden with its award-winning produce such as herbs, salads, edible flowers and fruits. Then tuck into a mouthwatering three-course lunch at the two AA Rosette awarded Clocktower Restaurant! There's also a Kitchen Garden Break for Two at Rudding Park, Yorkshire from £299.00 for one night, also available from Red Letter Days. Give them a gardening magazine subscription! 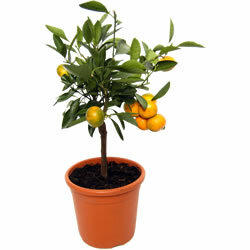 Tree2mydoor.com is a green gift company which sends out a range of trees as gifts, from native Oak Trees to Bay Trees and Lemon Trees. You can search out a suitable tree with their helpful Find a Tree by location e.g. balcony, patio, large garden, conservatory etc. Your loved one can have the experience of watching your tree grow over the years and, if you choose a fruit tree, they can enjoy the fruit as well! Visit Tree2mydoor.com here.